Beginning in the mid 1970s, the threat to our outdoor heritage became so great that a group of business leaders took it upon themselves to organize sportsmen to fight to protect hunting, fishing and trapping opportunities across the country. What started as the defense of an Ohio trapping issue in 1977 with national implications, soon evolved into the country’s leading advocate for sportsmen across the country — The Sportsmen’s Alliance and the Sportsmen’s Alliance Foundation. For nearly four decades, the Sportsmen’s Alliance has fought to protect and advance our outdoor heritage of hunting, fishing, trapping and shooting in all 50 state legislatures, in the courts, in Congress and at the ballot box. 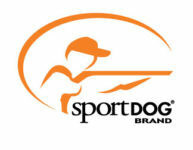 As Sportsmen’s Alliance’s work continues to grow stronger so too has the animal rights movement. Originally known as the Wildlife Legislative Fund of America and Wildlife Conservation Fund of America, the organization formed in 1977 after Ohio Ballot Issue 2 threatened Ohio’s trapping community. 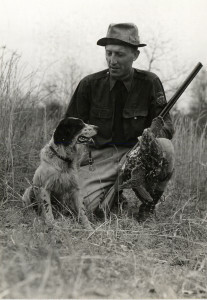 After leading the fight to successfully defeat the bill, U.S. Sportsmen’s Alliance was officially incorporated in 1978 as the number one defender of sportsmen across the country. During the summer of 2015, USSA’s name changed to the Sportsmen’s Alliance in an effort to decrease name length and enhance brand recognition. In those early years, Sportsmen’s Alliance would leave its mark on the sporting and legislative community. In 1982, we actively supported Common Sense Amendments to the Endangered Species Act that would protect our outdoor heritage from coast to coast. Not slowing down, we would move on to create hunter harassment legislative language that over the next decade would be implemented in all 50 states to protect sportsmen while in the field from anti-hunters. That protection is still in place today and we are now working on measures to protect sportsmen from harassment and cyber-bullying after the hunt. 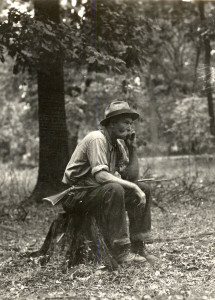 Under Sportsmen’s Alliance’s leadership, a 1983 ballot issue aimed to ban moose hunting in Maine was defeated, protecting sportsmen from losing their moose hunting privileges. Out of this victory, Sportsmen’s Alliance would create the Protect What’s Right campaign to utilize the vast network of conservation clubs to educate the public and advance our mission. At one point, as many as 1,500 conservation clubs from coast to coast united under the Protect What’s Right banner. Shortly after, we created The Sportsmen’s Legal Defense Fund (SLDF), making it the only entity with the sole purpose of defending sportsmen’s rights in the courts. It is still winning precedent-setting cases for sportsmen today. Over the next eight years, Sportsmen’s Alliance would continue to grow as a national organization. We would soon come to understand that not only was it important to protect current sportsmen, but also to introduce outdoor sports to the next generation. In 2001 the Trailblazer Adventure Program was created to reach a new generation of hunters and anglers by introducing youth and their families to an outdoor lifestyle. Holding the first pilot program in Atlanta in 2001, the Trailblazer Adventure Program would develop into the nation’s leading outdoor youth education program, reaching 1 million participants in just nine years. Today, the program is nearing the 2 million participant plateau. Sportsmen’s Alliance expanded its work to get newcomers in the field through the development of the Families Afield program, a collaborative effort by Sportsmen’s Alliance, National Shooting Sports Foundation and the National Wild Turkey Federation with support from the National Rifle Association and the Congressional Sportsmen Foundation. Families Afield continues to be a leading program to open the door to a new generation of hunters. The hallmark of the program is a “try before you buy” approach, allowing new hunters to obtain an apprentice license and hunt under the watchful eye of an experienced hunter before taking a hunter education course. The program has enjoyed huge success, being implemented in 35 states across the country and surpassing one million apprentice hunting licenses sold. far, Sportsmen’s Alliance has monitored and worked on more than 350 bills, many of them restrictive kenneling bills masked as “puppy mill” legislation. 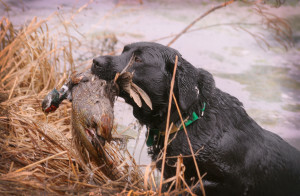 To date, no bills have passed in any state that restrict sportsmen in raising and utilizing hunting dogs. We achieved a monumental victory in 2010 after an eight year battle to ensure hunting access on 100 million acres of the National Wildlife Refuge system ended with a victory over the Humane Society of the United States (HSUS). In addition, the U.S. Fish and Wildlife Service granted our request to delist the Western Great Lakes Region wolves from the endangered species list in 2011, making way for wolf hunting seasons to reopen. Building on this success, 2012 was no different for Sportsmen’s Alliance as we pushed federal legislation aimed at protecting hunting, fishing and trapping on public lands, otherwise known as the Sportsmen’s Heritage Act. Sportsmen’s Alliance saw success in November 2014 after a ballot initiative in Maine with national repercussions was defeated. For the second time in 10 years, Maine voters resoundingly rejected a ballot initiative backed and bankrolled by the Humane Society of the United States (HSUS) that would have banned the use of bait, dogs and traps in the states bear hunt. Despite pumping more than $2.5 million into the campaign, HSUS was defeated, culminating nearly two years of fundraising and fighting by the Sportsmen’s Alliance and other groups opposed to Question 1. 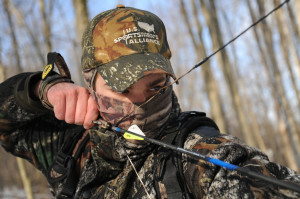 As it has for more than 40 years, the Sportsmen’s Alliance continues to be the leading organization fighting coast to coast against any legislation or action that threatens your outdoor heritage, while at the same time, proactively advancing legislation that allows more opportunities for sportsmen. The Sportsmen’s Alliance fully supports the 2nd Amendment and believes that it is one of the key underpinnings of hunting in this country, and moreover, it is the bedrock upon which our country was founded and why we retain our freedoms today. We fully understand that without the 2nd Amendment, and the personal right to possess and use firearms, there would be no hunting in America. And without hunting, there would be no wildlife conservation. But beyond that, the 2nd Amendment protects the very freedoms we live under in this country and ensures that the constitutionally-guaranteed rights of all Americans are protected. We do not support gun control legislation of any type. We never have, and we never will. 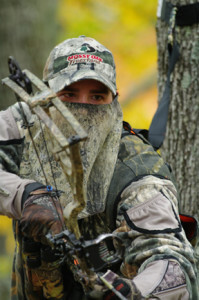 We are an organization made up of hunters, anglers, trappers, gun owners and shooting sports enthusiasts. And while we work primarily on hunting, fishing and trapping issues, we do not support the notion that law-abiding citizens should be held responsible, or punished, for the acts of criminals.